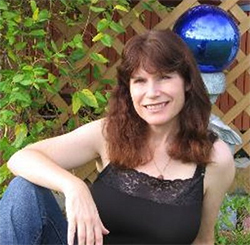 Award-winning and nine-time New York Times bestselling author Christie Golden has written fifty-four novels and several short stories in the fields of science fiction, fantasy and horror. She has been involved with such franchises as Star Wars, Star Trek, World of Warcraft, StarCraft, Assassin’s Creed, Halo, and Fable among many others, and has also authored original fiction. In 2017, Golden was awarded the International Association of Media Tie-in Writers’ Faust Award, conferring upon her the title of grand master in acknowledgment of a quarter century of contributions to the field of media tie-in fiction. Her most recent novels are Star Wars: Battlefront II: Inferno Squad and the forthcoming World of Warcraft: Before the Storm. The novels Assassin’s Creed: Heresy and Assassin’s Creed: The Official Movie Novelization won her the International Association of Media Tie-in Writers Award for Best Novel-Speculative and Best Adaptation. 2017 saw her first work on a video game itself, when she wrote the bible and the dialogue for the VR game Arktika.1 from 4A Games. It would not be the last, as in 2017 Golden became an official employee at Blizzard Entertainment. Among her many projects are over a dozen Star Trek novels, a similar number for gaming giant Blizzard’s World of Warcraft and StarCraft novels, three books in the nine-book Star Wars series, Fate of the Jedi, which she co-wrote with Troy Denning and the late and greatly missed Aaron Allston, and the novelization of Star Wars: The Clone Wars unaired episodes, Dark Disciple, which many reviews and lists have cited as the best of the new canon novels. 2014 saw the publication of no fewer than four novels. They were the highly successful World of Warcraft novel, War Crimes; Blackbeard: The Lost Journal, a companion book to the video game Assassin’s Creed: Black Flag; a second Assassin’s Creed book, Assassin’s Creed: Unity--Abstergo Employee Handbook, and The Accidental Knight, a novel set in the world of Cryptozoic’s online card game, HEX. 2015 saw only one book published, but it was a big one- her fourth Star Wars novel, Star Wars: The Clone Wars Dark Disciple, novel featuring the popular characters Asajj Ventress and Quinlan Vos. Golden launched the TSR Ravenloft line in 1991 with her first novel, the highly successful Vampire of the Mists, which introduced elven vampire Jander Sunstar. To the best of her knowledge, she is the creator of the elven vampire archetype in fantasy fiction. Several original fantasy novels include On Fire’s Wings, In Stone’s Clasp and Under Sea’s Shadow, the first three in her multi-book fantasy series The Final Dance. She is delighted to see her first original novels, Instrument of Fate and In Stone’s Clasp, available in an entirely new format as online books nearly fifteen years after their original publication. Prior to her job as prolific bestselling novelist, Golden attended the University of Virginia, where she won the Clay E. Delauney Award for Playwrighting. She worked at USA Today and served as an editor at Orbit Video Magazine and The Retired Officer Magazine. She also worked as a teacher with the Writer’s Digest School, and currently accepts clients for in-depth critiquing. Born in Atlanta, Georgia with stints in Michigan, Virginia, Colorado, Tennessee, and Texas, Golden now lives in Irvine, CA.